Larry P. Vellequette covers Toyota and VW for Automotive News. 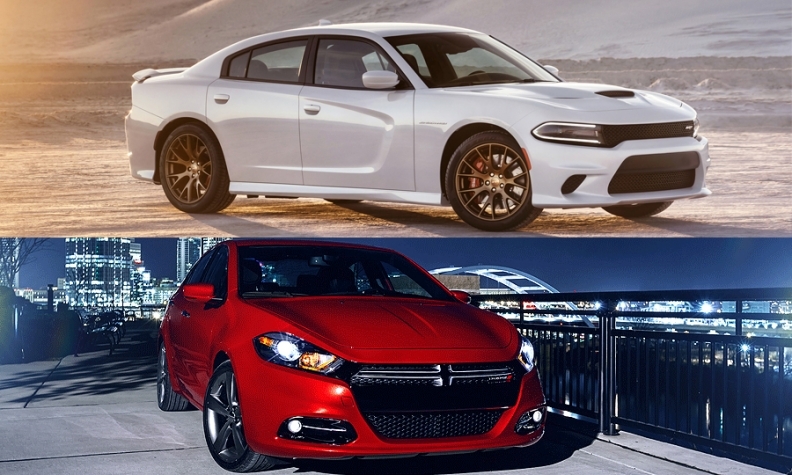 Top: 2015 Dodge Charger SRT Hellcat. Bottom: 2015 Dodge Dart. The Dodge Dart set an all-time sales record in April, and so far this year, the compact sedan is moving off dealer lots 52 percent faster than it was the year before. So, if you’re Dodge, do you need to fix a car that’s doing those things three years after its launch? Why, yes. Yes, you do. According to Dodge’s five-year product plan that it presented in May 2014, the Dart will be “renewed” in 2016 for the 2017 model year. The next-generation Dart will get a modified powertrain, including a more fuel-efficient nine-speed transmission and an upgraded 2.0-liter I-4 that is codenamed “Hurricane.” Both upgrades are needed, to improve Dart’s fuel economy and the sluggish power of the current 2.0-liter I-4. But I think that Dodge’s biggest opportunity with Dart lies is in its exterior styling. To me, Dodge’s new mission -- as Fiat Chrysler’s in-house affordable performance brand -- ought to serve as the framework around which the next-generation Dart is built. Right now, six cars dominate the compact segment: Toyota Corolla, Honda Civic, Chevy Cruze, Hyundai Elantra, Ford Focus and Nissan Sentra. That’s actually a very generous reading, because in reality, Corolla dominates the segment with a 16.5 percent market share through April, while Civic and the others leaders trail far behind. Dart, despite its relative recent success, has sold 33,686 units through April -- good enough for only a 4.5 percent market share in the crowded 17-car segment. That’s far better than where it was during the same period last year, when Dart’s segment share stood at just 3.1 percent. Neither figure is enough to feel good about its sales performance. I think the issue with Dart is not the tough segment competition, but the fact that that it ought to be styled like more of a true Dodge than it is. It needs to stand out in that crowded field, and to do that, it needs to look more like a shrunken Dodge Charger, especially from the side. Since I first saw Dart in December 2011, I have thought that it had a distinctive nose and tail, but that from the side, it looked like everything else in the segment, which is to say, plain and unremarkable. The nose and tail screamed baby Charger -- and moreso after Charger’s latest refresh late last year -- but Dart’s current design lost that look from the side. I’m not asking for much here, just to ape the Charger’s distinctive door scallops and maybe its broad shoulder line to give the Dart more of a presence. It’s not realistic to think that the Dart, even after an update next year, is going to “out-Toyota” the Corolla, or “out-Honda” the Civic. Those cars lead the compact sedan segment every year because they do what they are intended to do, and do it very well. But there are consumers out there who long to stand out, who want something distinctive and over-the-top. And I think a restyled Dart that looks like a baby Charger would fit that bill perfectly.